Access to the best Kingston tours, attractions, museums, and more! 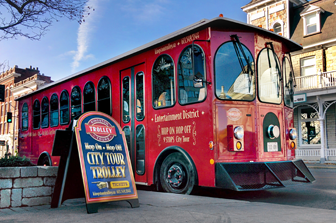 K-Pass is your all-inclusive ticket to Kingston, including a 1000 Islands Cruise, Hop On Hop Off Trolley Tour, exclusive deals for restaurants, and admission to many of Kingston's museums and attractions. You can choose a 24h, 48h or 72h pass. It includes the admission fee to each attraction once while the pass is active. Passes are available for 24, 48 or 72 hours. When buying online you will choose your cruise date, and length of pass that best suits the length of your visit. Every K-Pass includes a Kingston 1000 Islands Cruise. Space is limited and reservations are required, so you will choose a Cruise departure time as part of your purchase. When you arrive in Kingston your Pass will be waiting for you at 248 Ontario St in downtown Kingston. You will choose the hour to begin your pass when you pick it up. K-Pass is your all-inclusive ticket to Kingston. 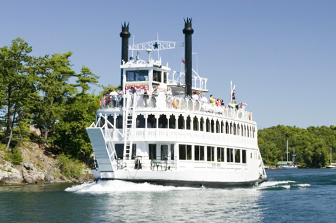 It includes a 1000 Islands Cruise, Hop On Hop Off Trolley Tour, and admission to numerous museums and attractions. You can choose a 24h, 48h or 72h pass, and includes admission to each attraction or activity once the pass has been activated. 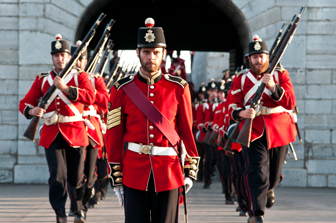 Kingston, Ontario is Canada's First Capital, a UNESCO World Heritage Destination and the Gateway to the 1000 Islands, with more than twenty Museums, Attractions and Historic sites to explore.